Does your family cabin boast a cowboy decor feel? Then we bet an iron dinner bell or triangle is just what your front porch needs! Want to give your guests a warm, western decor “Welcome”? Search our signs and plaques for one that suits your style of hospitality! Want to punch up your porch’s cottage furniture look? Add wrought iron wreath hangers, plant hangers and plant stands. Know where John Doe lives? You would if he used Woodland Creek’s iron house numbers and letters! 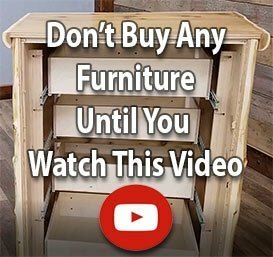 If your home, cabin, cottage or lodge sports a rustic furniture or western furniture look on the inside, why neglect the outside? 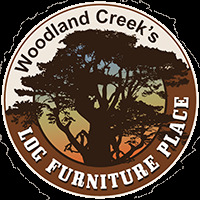 Woodland Creek’s makes rustic decorating for the outdoors easy on you – with country decor house letters and house numbers made of wrought iron which make a fitting first impression. Guests will appreciate knowing where to find you – and your wood furniture! Let your home or business banner fly high – on a wrought iron sign bracket or flag holder. Your love of log furniture and reclaimed wood furniture can’t be denied. So, it’s time to let your home or business banner fly high – while showcasing your great taste in outdoor cabin decor and country furniture! Woodland Creek’s offers wrought iron S hooks and sign pole brackets that are both sturdy and strong. Use them to help advertise your business (or to simply make your neighbors jealous)!